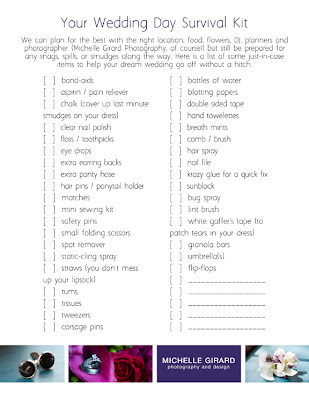 I put together a list for you of items to have on hand for your wedding day to help you be prepared for any snags, spills or situations that may arise. I hope it's helpful in your planning and preparation! Let me know if there's something additional that you think should be added from your own experience.